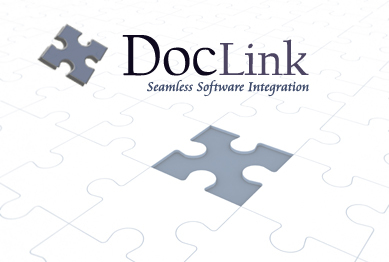 DocLink is a custom software program developed by PDS to provide seamless integration between Application Extender, Laserfiche or ClickScan and your core business processing software. DocLink utilizes a dockable or floating tool bar that automatically launches scan/index or search functions within the imaging software from your core process application. Scan and automatic indexing pulls data from core system and populates the document management index tables. Display pulls data from core system and accesses images scanned into the document management system. Minimize data entry errors in both indexing and retrieving. Designed to give the user the look and feel of “one” integrated program.